Who is Mehdi Abeid? | NUFC Blog. Mehdi Abeid: What's he like then? Of course, the signing of 18 year old RC. 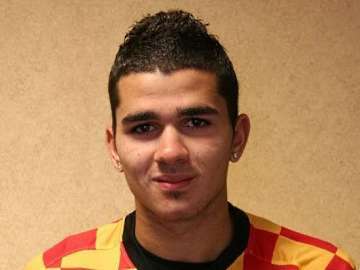 Lens starlet, Mehdi Abeid, is now a ‘done deal’ as they say, so in this piece, I will be trying to piece together as much that is known about him as I possibly can. He is an eighteen year old right footed offensive (in the football sense!) midfielder who can, apparently, also play in a forward position. Of French Algerian descent. Abeid himself said that he he has spoken with Hatem Ben Arfa with Cheick Tiote about the club, and that they “encouraged” and “welcomed” him (more on that below). Though he seems to be fairly highly regarded, he is almost certainly another ‘one for the future’, having gained most of his previous experience in Lens’s ‘B’ team, rather than in full competition. He does have experience with France’s Under 17 and under 18 teams though, with 14 under 17 caps (scoring 2 goals) and 3 Under 18 caps. Although his signing was only just announced offiicially earlier today, the deal had been ongoing for a while, with Abeid training with the club’s reserves last week. “After eight fantastic years at Lens, I have stagnated. I needed a change of air. I am not afraid to leave for abroad, I have had contact dating back some time and I visited the facilities there last week. I even trained with the reserve team. Welcome to Newcastle Mehdi! We hope that stay on Tyneside will be a good one. No doubt, we will be featuring more on this player in the near future. Hopefully he will have more impact than Andy Mogwo, he has been released. Strange these days we always here from players and their representatives before the club. Newcastle are so slow in releasing details. Abeid still not confirmed officially I think. is he eny good ? He never crossed my radar very much jimbob, though I do recall that he’s a defensive mid who liked Essien and Yaya Toure. That’s about it! I checked it out and all I got was a Lazio player with a similar name, paul. There will be more stuff on Abeid though. I forgot to mention that he is 5’10” tall. Worky there was alot of talk about him being “one for the future” etc, just hope this abeid is not another zamblera! Nice article. Makes for good Abeid time reading. Jimbob it wasn’t Keegan looking up players on youtube it was Denis “Not so” Wise. Didn’t like my pun Toontastico? I didn’t think it was that Abeid. Has Mogwo definitely been released ???? Nufc.com report mogwo has left nick, they dont usually comment on speculation or rumour so i would assume he has.